A startling new report has revealed that the majority of the countries which have agreed to control the international trade of live animals have instead reported zero seizures of alive, smuggled animals whatsoever over the past several years, implying that in many parts of the world, the illegal trafficking of living wildlife (predominantly reptiles) continues unchallenged. While the illegal trade in animal products has significantly contributed to the decline of some of the most iconic species in the world, including the African elephant (Loxodonta africana) and black rhino (Diceros bicornis), much less is publicly known about the trade in living animals. Removing wild animals from their native habitat is not only a substantial threat to the survival of wild populations but also has many further alarming implications for potential invasive species introduction, the spread of zoonotic diseases, and the welfare of animals as they are captured, bred and transported. A new report released by the University of Oxford Wildlife Conservation Research Unit (WildCRU) and World Animal Protection examined the 64,143 seizures of live animals reported by 54 countries between 2010 and 2014. The report found that reptiles comprised 95% of the individuals seized, with lizards being the main victims, followed by turtles, snakes and crocodiles. Birds were also popular targets, with parrots, falcons and owls being particularly coveted. 19% of the individuals seized are considered to be of “Threatened” status according to the IUCN Red List. The records of confiscations were derived from national reports to the Convention on International Trade in Endangered Species of Fauna and Flora (CITES), to which 182 countries are party. CITES is an international agreement to monitor and control the international trade in wild animals and plants, offering varying degrees of protection to over 35,000 species. The study raises concern that while every treaty member is legally obligated to adopt the CITES framework into their own national laws and monitor wildlife trade, there was no data on live seizures provided by 70% of CITES parties. 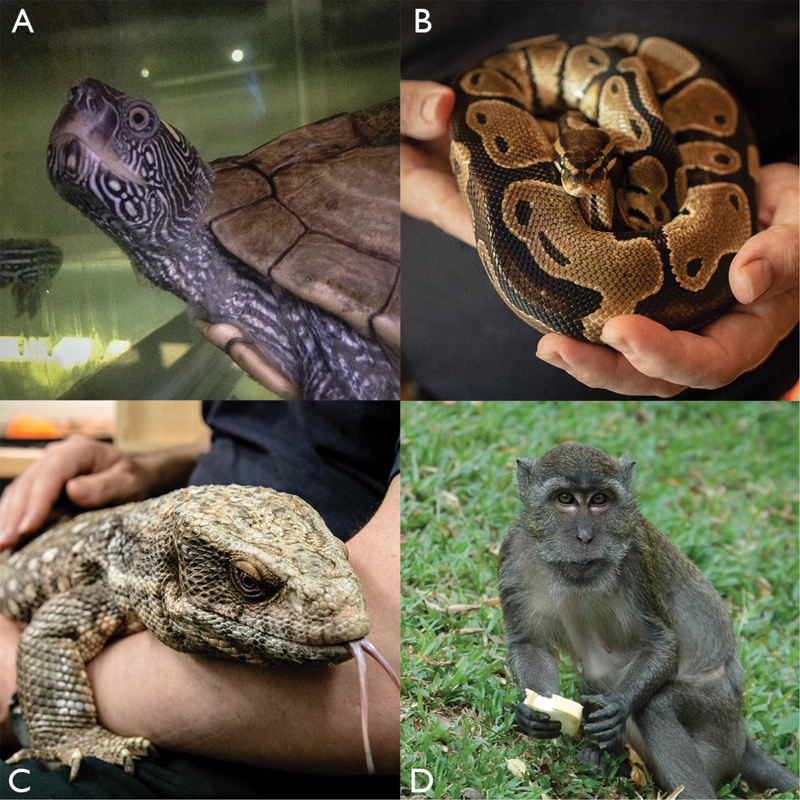 Data concerning the fates of these confiscated animals is also lacking, though not currently a formal CITES requirement. Once the animals have been seized there are multiple options available to national authorities: return the animals to the wild, keep them in captivity, or euthanize them. Researchers claim that without monitoring the outcomes of these seizures the animals could simply be re-entering the wildlife trafficking industry. “The illegal wildlife trade is a big, complex and dirty business. National authorities play a key role, facing some tough choices when they seize animals – whether they release them in the wild, place them in care in captivity or euthanize them. Improved data recording is critical to knowing what happens to each animal, and can help in looking at the challenges and issues enforcement agencies face in managing animals after seizure. Without this transparency, there’s a real possibility that endangered species may be put back into the hands of the same criminals whom they were taken from. We need to be able to account for these wild animals. The illegal wildlife trade is currently one of the most profitable black market industries in the world and is showing no signs of slowing. An increasingly globalised world now means that the travel and transport of goods on an international scale is easier and more commonplace than ever before, facilitating the movement of these illegal cargo. This report reveals that reptiles, already one of the most threatened taxa on the planet, are especially popular among smugglers. If even the nations that have agreed to CITES are failing to honour their commitments to monitoring and controlling this trade, it may not be long before serious consequences for biodiversity are felt.